It goes without saying that to see another photographer’s work is always a pleasure and offers me an understanding into how they ‘see’ the world, which is often rewarding and fascinating at the same time. Many bodies of work I have witnessed have been stunning and the print quality has been beautiful. Someone recently asked me what I thought was the most common ‘problem’ or ‘mistake’ was in today’s digital black and white photography. Personally, I needed very little time to consider this question and I answered quite honestly when I said that a lot of today’s black and white images seem to be missing some of the subtle mid greys that I love so much. It is hard to understand the reason for this and I certainly don’t believe it is the lack of darkroom and film photography because when I did teach darkroom printing, many a student would come out of the darkroom with a print that was as harsh in tones as you could achieve with the chemistry! 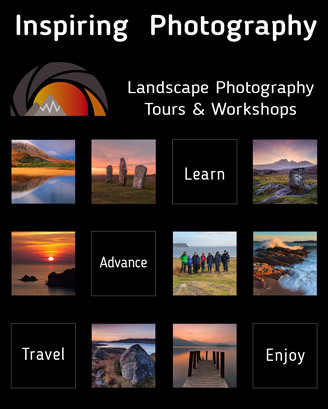 Paul Gallagher has been a professional landscape photographer for over 30 years and is also regarded as a Master Printer dedicating his photography to Northern England, the Scottish Highlands and further afield around the world.